What can we learn from the animal kingdom in regards of constructing buildings? Termites build intriguing and climate controlled mounds. They need to control their environment meticulously as they are very sensitive beings that cannot survive unless it is warm and humid. The architecture of a termite mound creates a natural a/c. There are likely a lot to learn from these termite creations and to take with us in the human construction and architectural sector. There is already a termite inspired building, how is it built and what makes it so unique? In Zimbabwe’s capital Harare a peculiar building, Eastgate Centre, stretches for the sky. At the top there are many flues and the edges show an intricate network of concrete shapes. These shapes and flues are all termite inspired, and help control the temperature of the building. The walls are hollow and through the laws of physics they lead away hot air during the day and keeps warm air in at night. This has lead to a massive decrease in power costs. Eastgate Centre uses a lot less energy than buildings of the same size in the area. You can read more about this here and here. Here is a video by National Geographic about Eastgate Centre! How do termites exactly control their living environment? Some mounds have flues, but others appear solid. Termites that farm mushrooms build the nests with flues. Mick Pearce, the architect behind Eastgate Centre, was inspired by these fungus farming termite mounds. But there are other, microscopic, features in the solid mounds keeping them cool in summer and warm in winter. 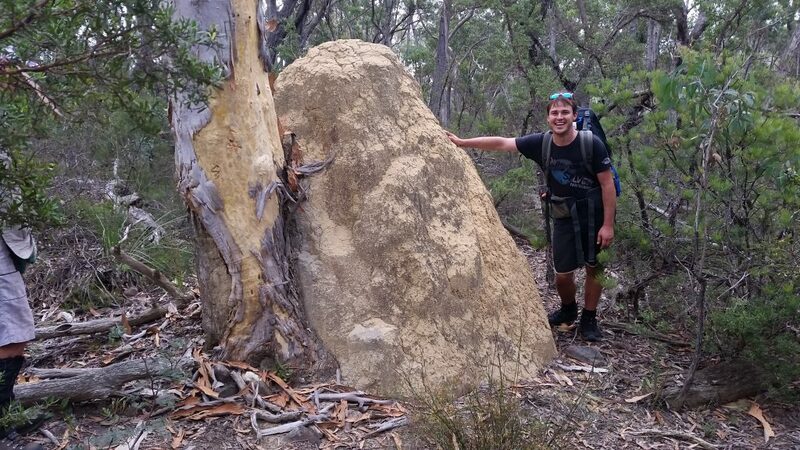 Termite Inspired – Michael inspecting a massive termite mound. The solid mounds’ a/c operates via tiny pores. If you look closer with a microscope you can see tiny holes and then even tinier holes. They let the mound breathe in oxygen and regulate the heat. The bigger holes directs rain away from the tinier holes so that the mound can still breathe even in rainy conditions. The documentary “Mysterious Castles of Clay” from 1978 follows the daily business of a termite mound. If you watch it you get to see how a variety of animals inhabit the flues of the mound, how the termites tend to and grow the fungus and much more. For a Free Quote on Termite Barriers please contact us! 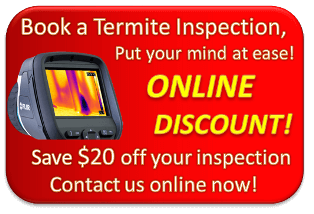 Michael is incredibly knowledgeable when it comes to termites and how to deal with them. So if you have any question just give him a call and he will do his very best to give you an accurate answer.